The JC Raulston Arboretum has long led the push to diversify the selection of conifers that are available for planting in southern gardens. This conifer collection was one of the first research collections in the Southeast to show the adaptability of a wide range of conifers to the hot, humid climate and heavy clay soils of our region. Prior to the establishment (and subsequent promotion) of many of the conifers in our collection, southern landscapes did not contain such now-familiar conifers as Chamaecyparis (thread-leaf and plume falsecypresses), and Cryptomeria (Japanese cedars), for example. Today, the JCRA conifer collection continues to push the bounds of gardening in the southern United States, and we are actively working to expand this collection. 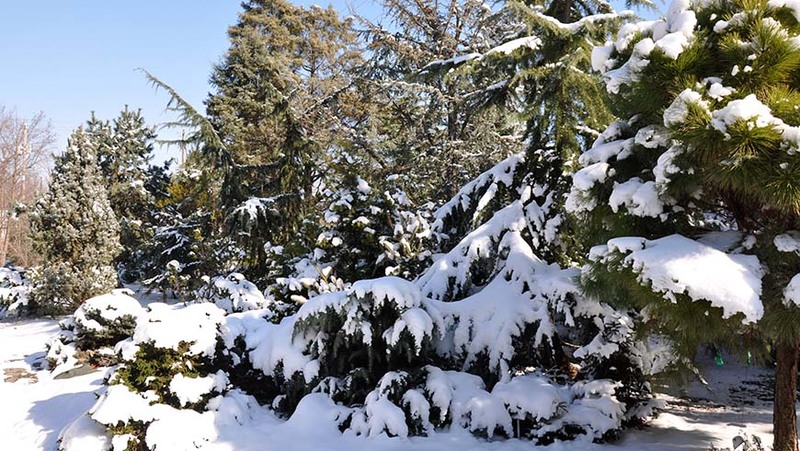 In 2012, our collection contained over 400 taxa of conifers, over 30 of which comprised the Cryptomeria collection, a feature group within the larger overall group of conifers. A wonderful array of different textures, sizes, shapes, and colors can be seen in this collection.